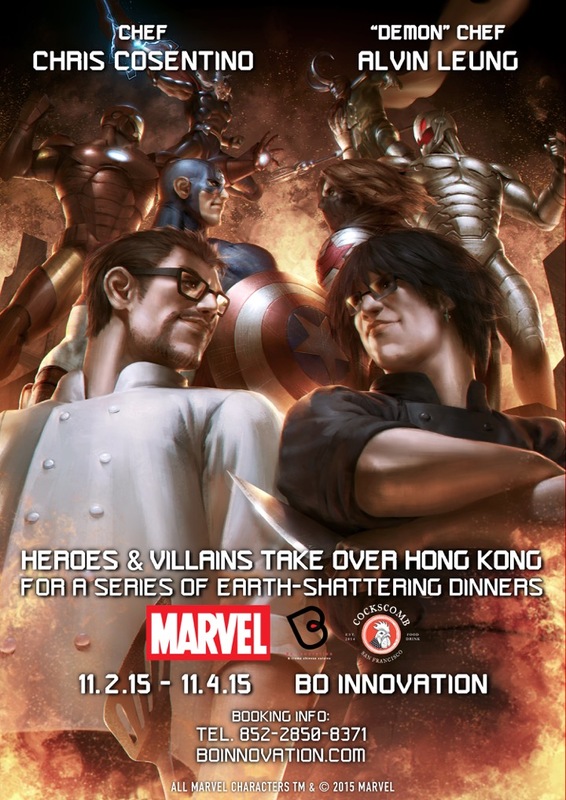 Three Michelin starred Bo Innovation hosts three exclusive Marvel-themed dinners from 2-4 November with Chef Alvin Leung and Chef Chris Cosentino of Cockscomb Restaurant (San Francisco, California) for HK $2325. From the Avengers to Spiderman to Guardians of the Galaxy, each chef will have one night to create an exclusive Marvel-themed menu inspired by their favorite Marvel Comic characters. 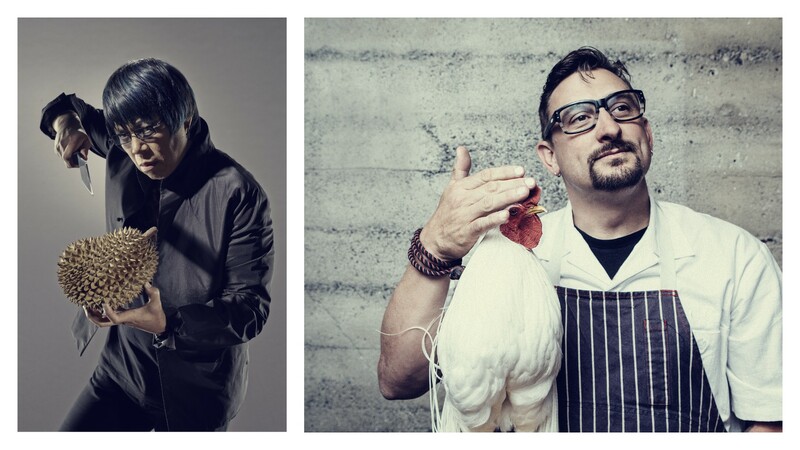 On November 4, the third and final night, both chefs will join forces for the first time ever and co-host an eight-course Marvel-themed exclusive dinner menu. Exclusive deal for Foodie Members: wine pairing menu add on free (normally $390). Just mention you are a Foodie Club member when booking.